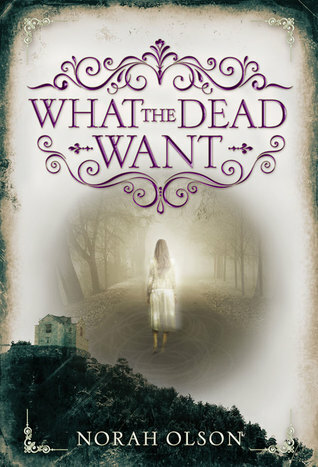 What the Dead Want by Norah Olson is a book I went into requesting on a whim. 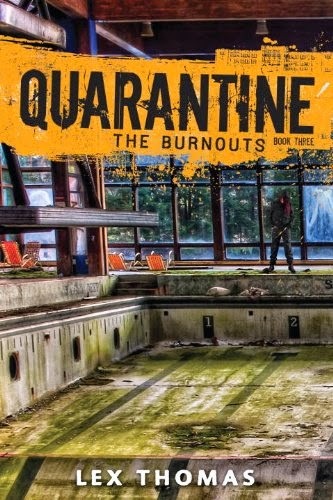 Yes, the fact it happened to be in my favorite genre certainly helped things but overall I was just really pleased to see some Young Adult Horror that was new to me. One of the things I really loved about What the Dead Want were the characters. Well, sort of. While the main protagonist is fine it's the little girls Celia and Rebecca who really drew me into the story. I loved figuring out why they were, well, how they were. The whole plot involving them is tragic but not exactly unsurprising considering the circumstances. I also really liked the house. Sure a house can't speak or fall in love but it can set the ominous tone of the story and it did in its own way provide the reader with more enrichment than the main character Gretchen did. Another thing I really liked about What the Dead Want was the length. Although, If I'm being honest,I'm not really sure if that can be counted as a good thing. While I did find reading the story enjoyable it could have easily turned into a DNF if it had dragged on much longer than it did. Now although this story was enjoyable for me that doesn't mean it didn't have its fair share of issues. Problem #1: I really did not connect to the main character Gretchen. Her character was just thrust into this world of Ghosts and Murder without any really build up. Once her Aunt goes off the deep end a street wise city girl like Gretchen should have been hightailing it out of there not sticking around due to some loyalty to a family she barely knows. Had the story taken place over a week or even a month I think I would have bonded with her character more. Problem #2: I really, really, disliked the ending. Gretchen had nothing to apologize for. Yep, her ancestors were scumbags but so what? Different time, different mindset. Was it awful? Hell yeah but did she need to give up her entire inheritance because of it? No. She helped those stuck. I'd say that and sharing the photos of the complacent townsfolk was enough. A better way for her to honor those who died would have been to rebuild the home and the church and make it what it should have been had James been around and that's an inclusive place for all. She could of done so much good with the money but instead winds up wiping her hands of it all and playing the martyr to make up for the sins of the father. It's all very cliche and could have gone a million and one better ways than it did. Problem #3: I really did not like the fact that the story just glazed over much needed character development. I know it was to keep the twists a secret but really, it was sort of blown anyway by the not so subtle hints the Author kept dropping about race. Overall, while I enjoyed What the Dead Want, I do think it could have been better with a stronger writer at the helm. The Horror aspect definitely needed to be more developed and the ghosts needed something more to do than just chill around the house waiting for something to happen. With that being said, I'll be rating What the Dead Want by Norah Olson ★★★. Recommended For Fans Of: The Shining, The Haunting of Hill House, In the Shadow of Blackbirdsand Rain. Norah Olson is a former journalist who covered criminal cases for a regional New York newspaper and received a prestigious fellowship for her work. She was educated in New England and lives in Manhattan.